More than 400 works from the personal collection of Catherine the Great will travel to Australia 31 July 2015 – 8 November 2015. Gathered over a 34-year period, the exhibition represents the foundation of the Hermitage’s collection and includes outstanding works from artists such as Rembrandt, Velasquez, Rubens and Titian. Exemplary works from Van Dyck, Snyders, Teniers and Hals will also travel, collectively offering some of the finest Dutch and Flemish art to come to Australia. Rembrandt Harmensz. Van Rijn, Young woman trying on earrings 1657. Oil on wood panel, 39.5 х 32.5 cm. The State Hermitage Museum, St Petersburg (Inv. no. ГЭ-784). Acquired from the collection of the Comte de Baudouin, Paris, 1781. Catherine the Great’s love of education, art and culture inspired a period of enlightenment and architectural renaissance that saw the construction of the Hermitage complex. This construction includes six historic buildings along the Palace Embankment as well as the spectacular Winter Palace, a former residence of Russian emperors. On view in the exhibition will be remarkable drawings by the Hermitage’s first architects Georg Velten and Giacomo Quarenghi, complemented by excellent painted views of the new Hermitage by Benjamin Patersen. These, along with Alexander Roslin’s majestic life-size portrait of Catherine, set the scene for a truly spectacular exhibition. The State Hermitage Museum, St Petersburg [Inv. No. ГЭ-71]. Acquired from the collection of A. G.
Between the 1830s and the end of the First World War, American art came into its own. From the majestic Hudson River School paintings of Thomas Cole, John Kensett, and Albert Bierstadt to the gritty urban realism of Robert Henri and John Sloan, this presentation draws on the rich holdings of American paintings and sculptures in the collection of the Santa Barbara Museum of Art. This selection of more than 50 paintings and eight sculptures highlights the maturation of a distinctly American idiom, one informed by international currents and engaged with capturing the fluxes of modern life. Masterpieces of landscape, genre, still-life, and portraiture, punctuated by a selection of sculptures, trace an evolution in style from an art driven by the mandates of westward expansion to one animated by experimentation. In both idealized and naturalistically rendered landscapes, in scenes of everyday life, or meticulously detailed images of everyday objects, the presentation also narrates an important chapter in American cultural history that witnessed the Civil War and its aftermath, the expansion of national boundaries and the closing of the western frontier, and the transformations wrought by the emergence of new technologies at the dawn of the 20th century. This exhibition has been organized by the Santa Barbara Museum of Art. 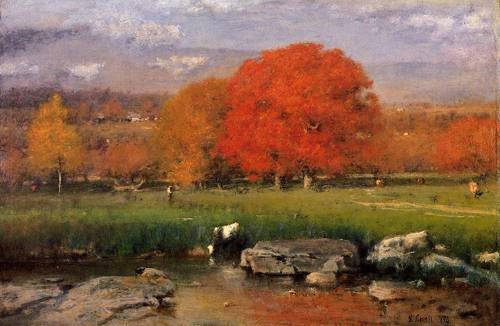 George Inness' Morning, Catskill Valley and its flaming autumn trees inject a more overt spirituality. 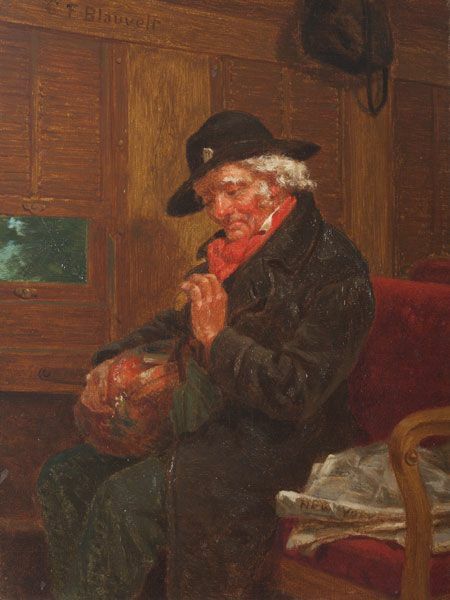 Charles Blauvelt's portrait of an immigrant in Homeward Bound From New York. "Cosmopolitanism in the Gilded Age" gives us the upside of all the new money at the turn of the century. 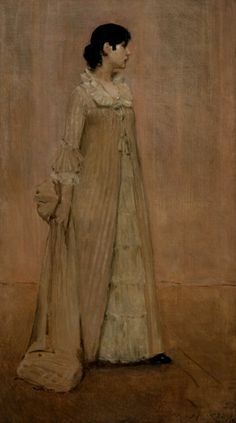 William Merritt Chase's The Lady in Pink (Portrait of the artist's wife), 1886 all excellent, aren't voyeuristic (they were painted at a time when those who would have seen them were social equals) or aspirational (ditto). 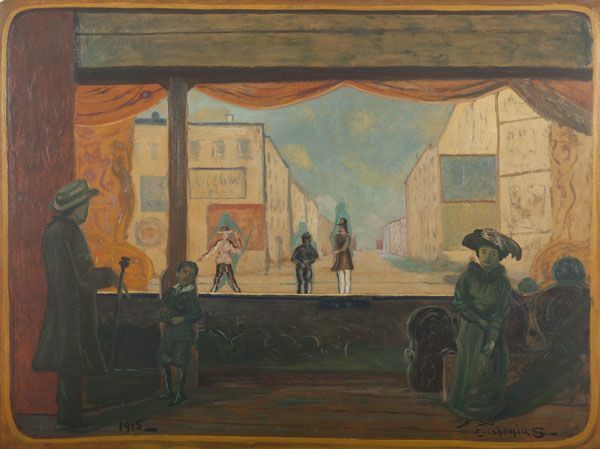 Louis Eilshemius's disaffected patrons in the vaguely unsavory painting Plaza Theatre (1915), which calls to mind the Kit Kat Club in Cabaret. They're separated by just 12 years but we see the nostalgia and romance for a vanishing way of life and the strengths of individualism contrasted with a competing cynicism and sense of isolation. As Henri wrote: "Paint should be as real as mud." His Derricks on the North River is a far cry from the Manhattan Club. So is George Bellows' Steaming Streets, another dark urban landscape in which a trolley, spooked horse and onlookers combine. (Bellows wasn't in the Eight show but was an important part of Henri's circle.) Among other artists who weren't as tight with the Ashcans that were included in the Eight show was Maurice Prendergast; his Summer in the Park is a bright frolic composed of paint dashes that have no resemblance to mud. Thomas Cole, The Meeting of the Waters, 1847, oil on canvas. 14 1/4 x 24 1/4"
26 1/8 x 32 1/8"
In 1913, Edward Hopper sold his first painting at the first Armory Show. But it would be over a decade before the now-famed painter sold another. Instead, Hopper turned to etchings, drawings, and watercolors, finding recognition for his masterful compositions of quiet, meditative moments. Edward Hopper is best known for his paintings of urban modern life in the 20th century, but the artist initially found success with etching. This medium proved to be ideal for his bold graphic compositions and humble American subject matter that included rooftops, railroads, buildings, and landscapes. Gain behind-the-scenes insight into CMOA’s Hopper collection with curator Akemi May, who will discuss this important moment in the artist’s career, famous printmakers like Rembrandt who inspired him, and the watercolors that led to his recognition as a painter. CMOA Collects Edward Hopper presents all 17 works by Hopper in the museum’s collection, ranging from impressive examples of his etchings, drawings, and watercolors, to the oil paintings for which he is best known. This includes the first painting Hopper sold, Sailing (1911), and his 1936 painting Cape Cod Afternoon, produced after he gained widespread recognition. CMOA Collects Edward Hopper also presents prints by artists who influenced Hopper during his difficult formative years, including Rembrandt, John Sloan, and Charles Meryon. Never before exhibited together, the works in CMOA Collects Edward Hopper reveal the development of an iconic American master, and shed light on the influences that produced his instantly recognizable style. CMOA Collects Edward Hopper is organized by Akemi May, associate curator of fine art. 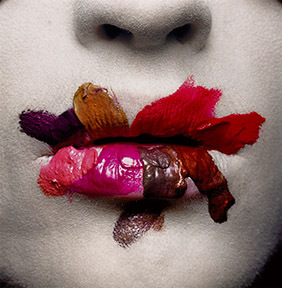 Irving Penn (1917–2009), known for his iconic fashion, portrait and still life images that appeared in Vogue magazine, ranks as one of the foremost photographers of the 20th century. “Irving Penn: Beyond Beauty,” the first retrospective of Penn’s work in nearly 20 years, will celebrate his legacy as a modern master and demonstrate the photographer’s continued influence on the medium. The exhibition features work from all stages of Penn’s career—street scenes from the late 1930s, photographs of the American South from the early 1940s, celebrity portraits, fashion photographs, still lifes and more private studio images. Penn’s pictures reveal a taste for stark simplicity whether he was photographing celebrities, fashion models, still lifes or people in remote places of the world. 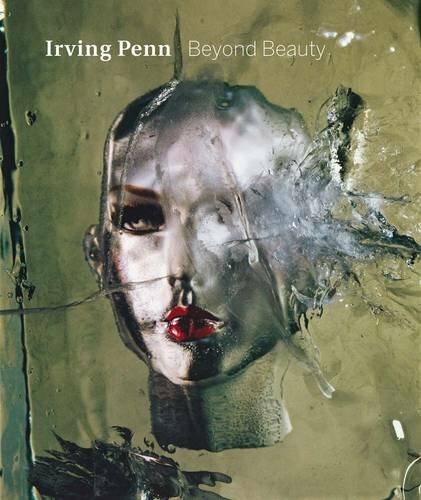 “Irving Penn: Beyond Beauty” is drawn entirely from the extensive holdings of the Smithsonian American Art Museum. On display will be 146 photographs from the museum’s permanent collection, including the debut of 100 photographs recently donatedto the museum by The Irving Penn Foundation. The exhibition presents 48 previously unseen or never exhibited photographs. In a career that spanned nearly 70 years, Penn’s aesthetic and technical skill earned him accolades in both the artistic and commercial worlds. He was a master of both black-and-white and color photography, and his revival of platinum printing in the 1960s and 1970s was a catalyst for significant change in the art world. He was one of the first photographers to cross the chasm that separated magazine and fine-art photography, narrowing the gap between art and fashion. Penn’s portraits and fashion photographs defined elegance in the 1950s, yet throughout his career he also transformed mundane objects—storefront signs, food, cigarette butts, street debris—into memorable images of unexpected, often surreal, beauty.“From his first photographs to the ones he made in the last years of his life, Irving Penn’s consistency of artistic integrity is remarkable,” said Foresta. “He was able to elevate even crushed coffee cups and steel blocks to the realm of great art, printing his images with exacting care. But in the final analysis his work is not just about beauty, or about the potentials of photography as an art form, but a combination of the two that is indivisible and unique. 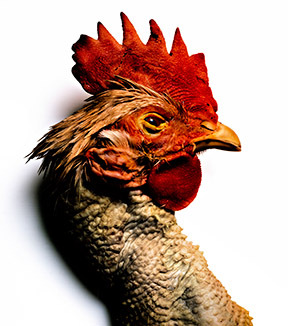 One of the twentieth century’s best-known American photographers, Irving Penn (1917-2009) was one of the first to break the boundaries between magazine and art photography. Opening on October 15th, this retrospective of Penn’s work—the first in almost twenty years—includes approximately 140 photographs from the American Art Museum’s permanent collection, and debuts 100 photographs recently donated by The Irving Penn Foundation. From the street scenes made in the late 1930s, to his late experimental images (many of them self-portraits), the images in this show reveal Penn’s taste for stark simplicity—a hallmark of his work. self-portraits; and some of Penn’s most recognizable fashion and still life photographs. All the prints were made during the artist’s lifetime and personally approved by him. The exhibition is accompanied by a catalog, co-published by The Irving Penn Foundation and the Smithsonian American Art Museum and distributed by Yale University Press, with an essay by Foresta and an introduction by Broun. Foresta’s essay introduces Penn to a younger generation and delves into his use of photography to respond to social and cultural change. On July 19, the Denver Art Museum (DAM) opened In Bloom: Painting Flowers in the Age of Impressionism, the centerpiece exhibition for a campus-wide summer celebration. In Bloom explores the development of 19th-centuryFrench floral still-life painting, and features about 60 paintings by world-renowned French artists Édouard Manet, Edgar Degas, Pierre-Auguste Renoir, Paul Cézanne, Vincent Van Gogh and others. On view through Oct. 11, 2015, In Bloom will be a ticketed exhibition, and free for museum members. The colorful exhibition demonstrates how a traditional genre was reinvented by 19th-century artists, as the art world's focus was shifting to modernism. The exhibition is co-curated by Dr. Heather MacDonald, Getty Foundation and formerly of the Dallas Museum of Art, and Dr. Mitchell Merling, Virginia Museum of Fine Arts, and curated locally by Angelica Daneo, associate curator of painting and sculpture at the DAM. In Bloom examines the change from meticulous and lush still-life paintings to compositions with looser brush strokes and fewer, unified subjects. In Bloom follows landmark developments in the French floral still-life genre from the late 1700s to the early 1900s. Visitors will receive a foundation for the experiments of the 19th century by starting with the examination of works by masters such as Anne Vallayer-Coster and Pierre-Joseph Redouté. Highlights of the exhibition include productions by artists from the Lyon School, Impressionist still lifes by Camille Pissarro, Edgar Degas and Pierre-Auguste Renoir and post-Impressionist works by Vincent van Gogh. The exhibition concludes with pieces by Odilon Redon, Pierre Bonnard and Henri Matisse, who continued the floral still-life tradition as modernism was radically transforming the art world. Édouard Manet (French, 1832–1883), Flowers in a Crystal Vase, about 1882. Oil on canvas; 12-7⁄8 × 9-5⁄8 in. National Gallery of Art, Washington, D.C., Ailsa Mellon Bruce Collection, 1970.17.37. Vincent Van Gogh (Dutch, 1853–1890; active in France),Vase with Cornflowers and Poppies, 1887. Oil on canvas; 31-1⁄2 × 26-3⁄8 in. Triton Collection Foundation. Vincent Van Gogh (Dutch, 1853–1890; active in France), Vase with Carnations, summer 1886. Oil on canvas; 18-1⁄8 × 14-3⁄4 in. Collection Stedelijk Museum, Amsterdam, purchased with the generous support of the Vereniging van Hadendaagse Kunstaankopen, A2235. Vincent Van Gogh (Dutch, 1853–1890; active in France), Vase of Flowers, summer 1890. Oil on canvas; 16-9⁄16 × 11-7⁄16 in. Van Gogh Museum, Amsterdam (Vincent van Gogh Foundation), S109V/1962. Paul Gauguin (French, 1848–1903), Still Life with Peonies, 1884. Oil on canvas; 23-1⁄2 × 28-3⁄4 in. National Gallery of Art, Washington, D.C., Collection of Mr. and Mrs. Paul Mellon, 1995.47.10. Alfred Sisley (French, 1839–1899), Still Life of Wildflowers, 1875. Oil on canvas; 25-3⁄4 × 19-7⁄8 in. Virginia Museum of Fine Arts, Richmond, Collection of Mr. and Mrs. Paul Mellon, 85.500. Henri Fantin-Latour (French, 1836–1904), Asters in a Vase, 1875. Oil on canvas; 22-7⁄8 × 23-1⁄4 in. 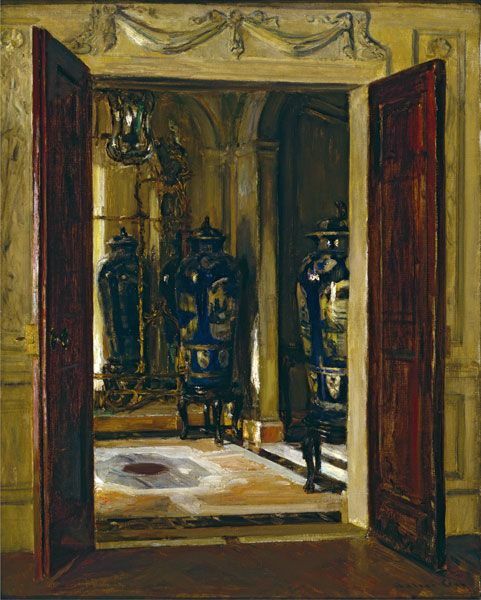 Saint Louis Art Museum, Museum Purchase, 4:1944. Camille Pissarro (French, 1831–1903), Bouquet of Flowers, about 1898. Oil on canvas; 21-1⁄4 × 25-3⁄4 in. Fine Arts Museums of San Francisco, Bequest of Marco F. Hellman, 1974.6.